"My career has been heavily influenced by my Chinese language studies," Cassandra Olson said. "During the application process for my current employer, which is headquartered in China, I had a competitive advantage compared with my peers because I can speak Chinese fluently." Olson, from Texas in the United States, began learning Chinese at age 18 at Bard College in New York City. She improved her command of the language by studying at Peking University in Beijing and the Harbin Institute of Technology in Heilongjiang province. Now, working in Los Angeles as business development manager for JL Real Estate Development, Olson speaks Chinese every day in the office during meetings and in casual conversation. "I use Chinese to respond to an average of four to 60 WeChat messages every day," Olson said. In addition to phone calls, emails and meetings in Chinese, she gives at least one public speech per month to Chinese-speaking audiences. "Thanks to my language skills, I'm able to become a bridge and open up a market that would be inaccessible for many Americans." An increasing number of companies in LA are recruiting bilingual Chinese speakers. A quick search on the online business network LinkedIn shows there are nearly 500,000 job openings that require Chinese language skills in the US. The openings are in a range of industries, including technology, education, entertainment, hospitality, health, finance, banking, real estate and marketing. The demand for Chinese language skills is being fueled by the growing number of Chinese-speaking customers in the US, according to the most recently published research by the American Community Survey. 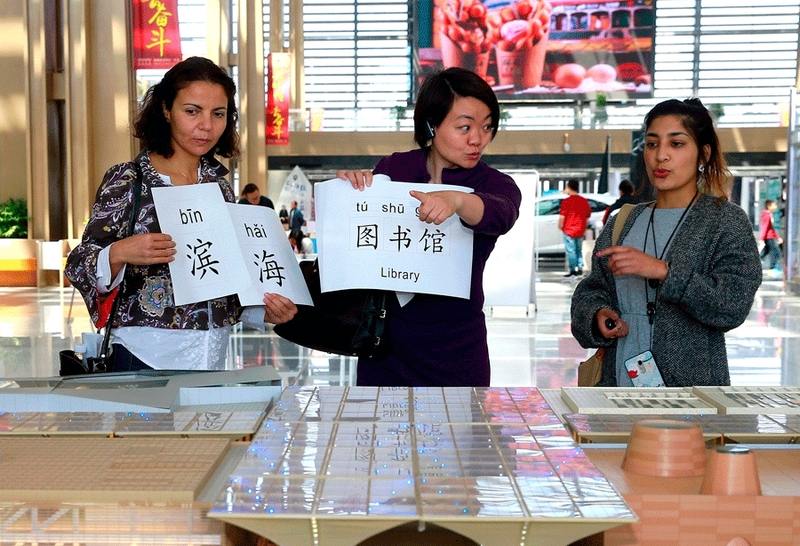 More than 1.6 million of the almost 3 million Chinese-speaking immigrants in the country have reported limited proficiency in English, the survey showed. In addition to immigrants, local businesses are taking Chinese-speaking travelers into consideration. Olson, from Texas in the United States, began learning Chinese at age 18 at Bard College in New York City.